Desc: Rhodium plated necklace with an extension chain containing a freshwater pearl. 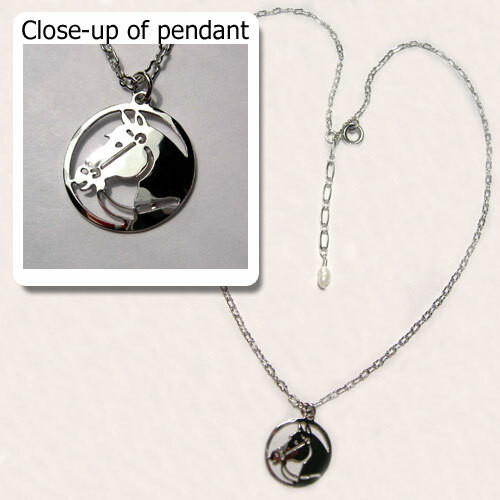 The pendant depicts a horse head wearing a bridle inside a circular outline with light hammered and bright polish finishes. The extension chain is 1 1/2 inches long and hangs from the spring ring clasp at the back. Also available as earrings (contact us for details). 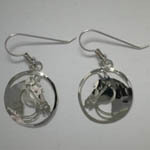 We also have a matching pair of earrings, see SK1079.